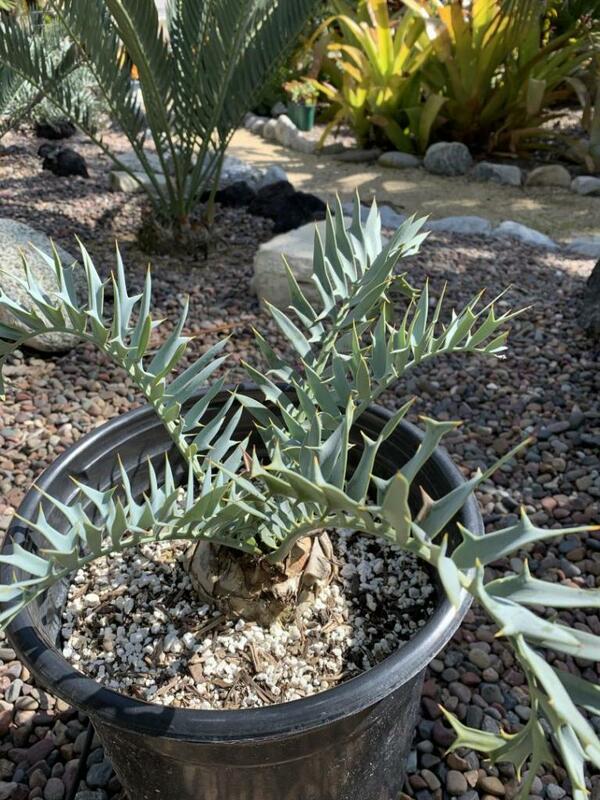 For sale is a E. horridus. The caudex is approximately 4.5 inches. No shipping or trades. Cash only. Seeding Cycad ID? - any interest in seeds? An untagged potted cycad is dropping ripe seeds in my back yard jungle. 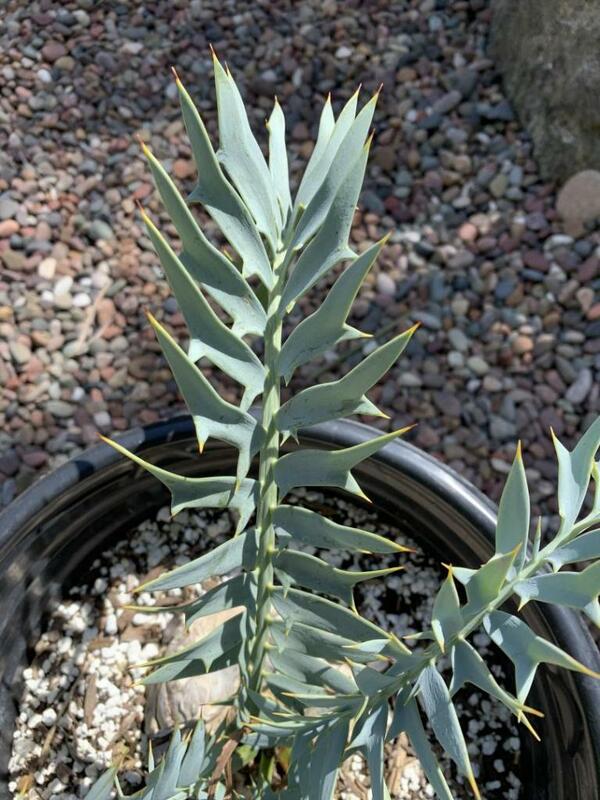 I suspect it might be a Zamia but what species or hybrid I don't know. It is not a Z. furfuracea ("cardboard palm") nor a coontie (too large). Can anyone tell me even what it might be? Is anyone interested in the ripe seeds? The fruit/seeds are about 3/4" long and 1/2" wide. Thanks. So I went on Google Maps and was looking around near Cairns Australia just to see what it looked like, and I saw this. Does anyone know what cycad this is? It looks really cool. What is this two cycads ? ?